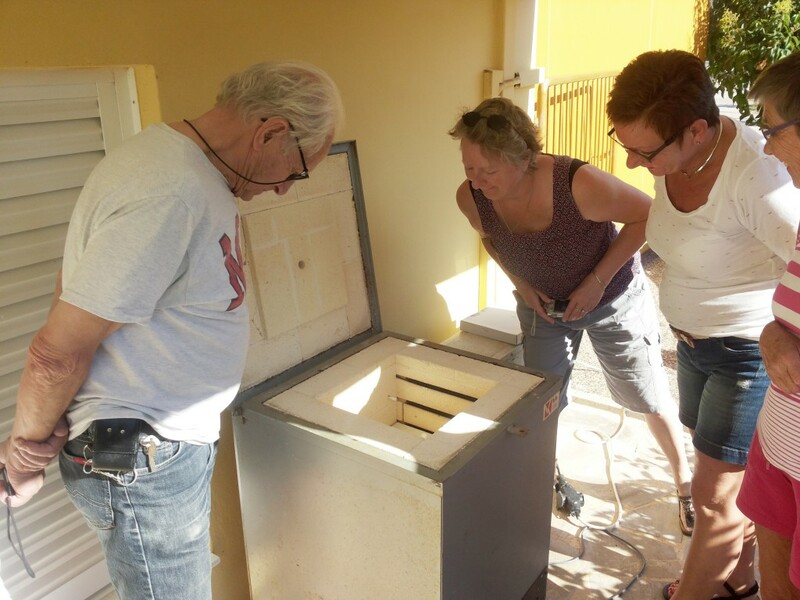 Starting point for the workshop ‘Decorating Ceramics’ is the old Dutch method and tradition of ceramic art: Plateel. The most well known example of this is the famous ‘Delft Blue’. 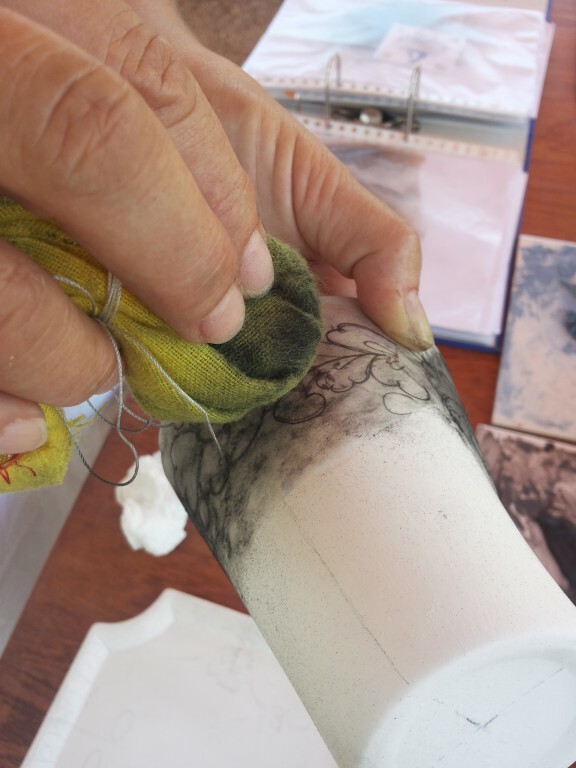 In the workshop we make use of very special brushes and ceramic paints painted on baked, but not yet glazed, ceramic artifacts such as plates, bowls etc. Many colours can be used, not only the traditional shades of blue! 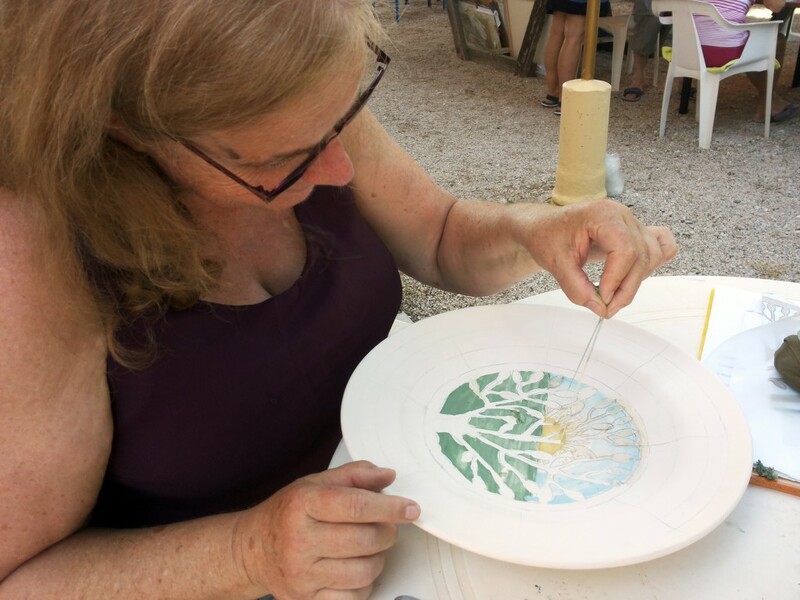 You could also be inspired by the Greek colours and earth colours. 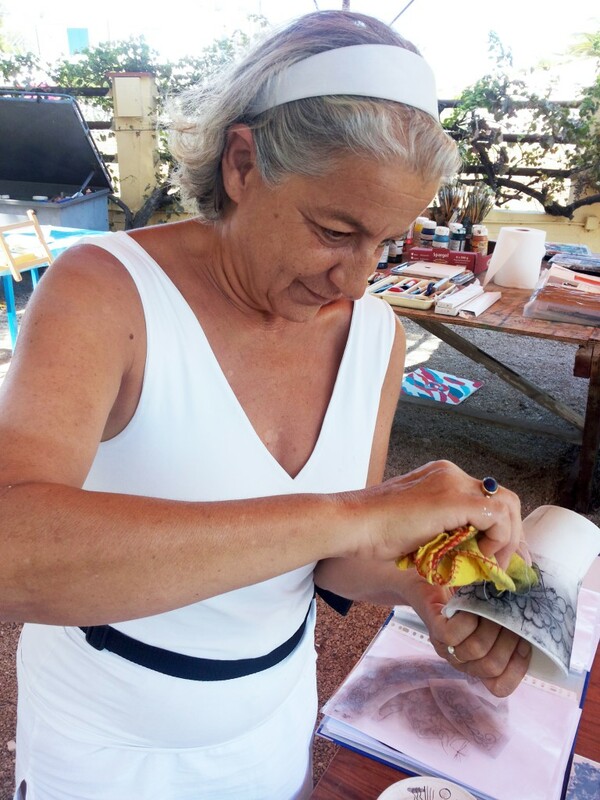 If you prefer to work in an abstract way, or intuitively, this workshop offers a unique opportunity to work with completely different materials. The combination of this old tradition and your own form of creativity can produce interesting and unexpected results. 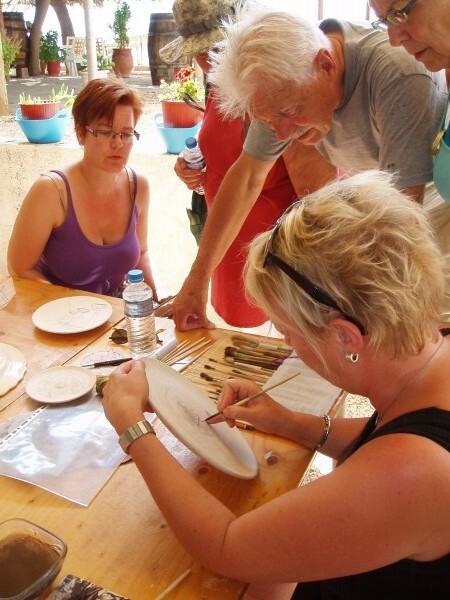 Also if you think you are not a very talented painter, this workshop offers interesting opportunities. 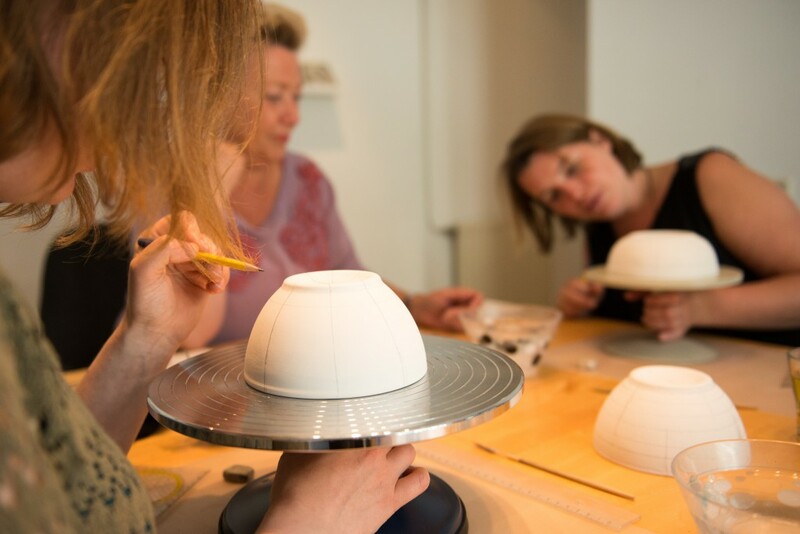 Discover the decorating techniques for plates and crockery, easily demonstrated by our teacher Trudy Otterspeer. 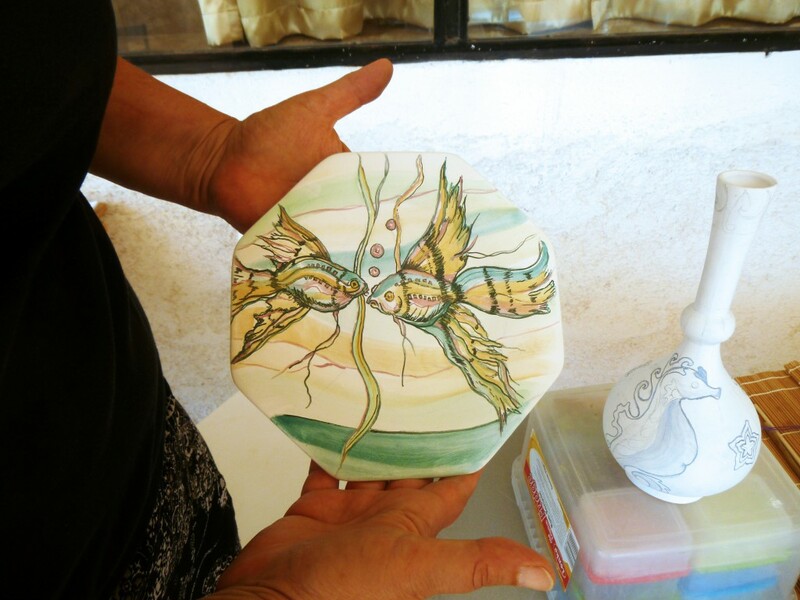 The painted objects are glazed in our oven in Kantia and can be taken back home at the end of the workshop. If the pieces are too big to be taken as handluggage, we can arrange shipping to your homeaddress. 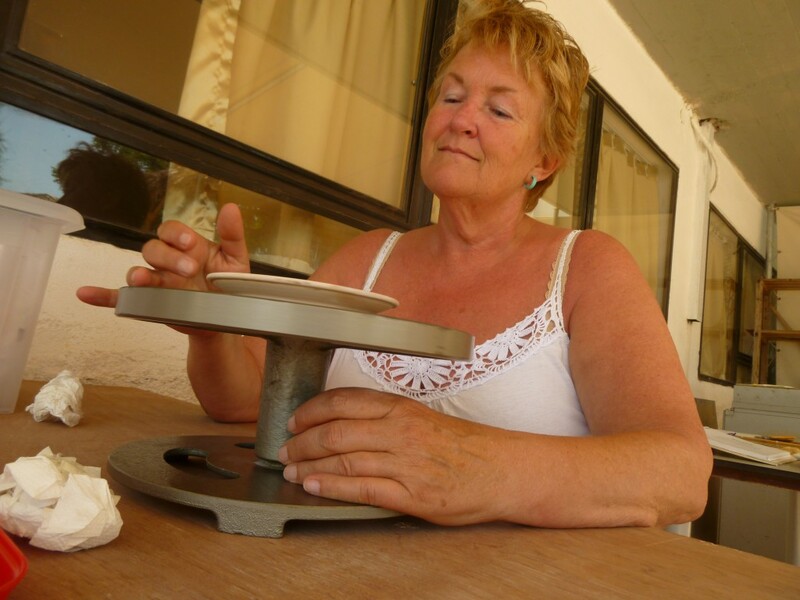 Paints and the use of regular brushes and tools are included in the workshop price. small items, for example a box, a heart or a vase vary from € 4,00 to € 10,00.